BMX, is an abbreviation of the words Bicycle and Motocross. BMX biking first came under the spotlight in 1970’s, when Scot Alexander Breithaupt, at the age of 13, established a track in a vacant lot in Long Beach, California. Known as the father of old school BMX, Breithaupt’s prime competitive years were from 1970 to 1984. The 1971 motorcycle documentary ‘On Any Sunday’ could be said as a catalyst that triggered the international BMX scene. Directed by Bruce Brown, the film has an opening scene of children riding their bicycles on a dirt track, an imitation of motorcyclists. Till date, that scene is considered as a frame that popularized BMX biking across America. Brown also believed that the film changed public perception of motorcycle races as ‘bad guys’ to popular heroes. However, there’s a lot of argument over the origin of BMX biking. It is debatable that the roots of BMX came from Netherlands in 1950’s. Check this footage from 1957, of what probably is the first bicycle motocross action captured on film. Way back in 1976, Bob Haro and John Swanguen were associated with pioneering the freestyle form of BMX, riding in skateparks and pulling off some really cool tricks, which grabbed the interest of many BMX maniacs. Haro, also known as the godfather of freestyle, soon got involved at BMX Action Magazine where he came across R.L Osborn, which lead to the formation of first ever Freestyle BMX team, in 1979. It was in 1975 when the ‘Skateboarder’ magazine published photographs of bikers pulling off some tricks in an empty swimming pool. And this as well is the first official record of freestyling movement. 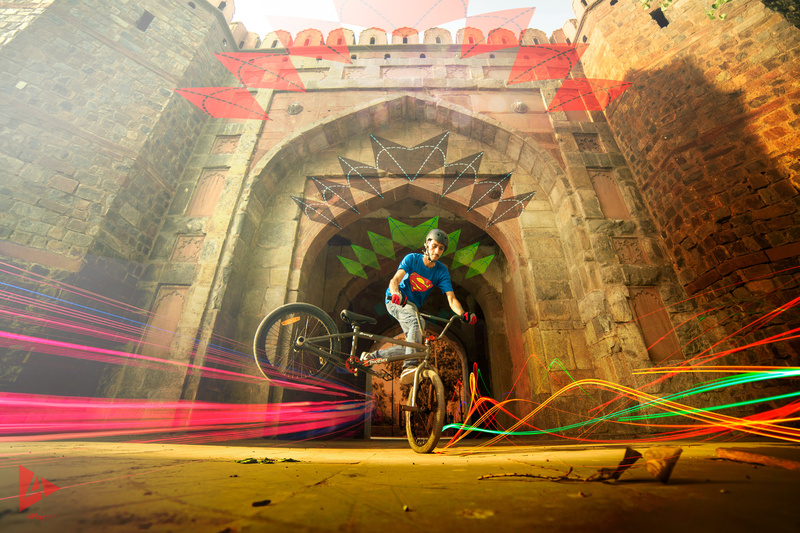 The BMX scene in India is relatively small, despite a population of over a billion people. Only few would know that BMX is one of the oldest cycle sports in the country. Back in the 80’s, pioneers of Indian BMX-ing like Rahul Maulani along with several others would be seen bunny hopping on the stairs of Mount Mary church in Bandra, Mumbai. BMX bikes in India are very expensive, and with no proper safety-gears and state-parks to practice, the sport has seen a slow growth since its inception. Yet, this does not come as an excuse for passionate bikers like Annul Pale, Harman Bhamrah, and many such who are in a constant pursuit of pushing the BMX scenes in India. Various groups like the Ride BMX India and Imphal’s GBB BMX Stunt group have been playing a key role in promoting the BMX biking across the country. The BMX racing, for the very first time, was featured in 2008 Bejing Olympics, followed by London 2012, and Rio 2016. In June 2017, the International Olympic Committee (IOC) announced that the sport is added to the Olympic program for the 2020 Summer Olympics. With more and more BMX brands coming to India every year, the sport has caught on with the youth in Mumbai, Pune, and various other cities. The future definitely looks promising and BMX biking will soon experience a boom among the cricket-hoot Indian masses.